I am a huge popcorn lover, as many close friends and family can attest to. And a recent article in the Toronto Sun reported on some research that states that popcorn is good for you. After doing my dance of joy to the Popcorn Gods, I made myself an air-popped bowl of those healthy morsels. Yes, the butter and salt added probably canceled out the health benefits but hey, it was a day of celebration and I wanted to treat myself. And it got me thinking of how Armando eats popcorn because it’s not with salt and butter. In fact, Armando’s snack foods often have a bit of a Mexican spin to them and I thought I would share some of them with you here. Cut up raw hot dogs with lime juice and hot sauce (this one gets a big “EWW” from me). Ham with melted cheese on it (the heart just skips a beat on that one! But, I must admit, it tastes pretty darn good; it’s like a quesadilla without the carb-filled tortilla). Kitkat bars (I have no idea where this one come from because he doesn’t have much of a sweet tooth, and fortunately he doesn’t put a Mexican spin to this one. Imagine…lime juice with Kitkat bars?!). Papitas – street vendor potato chips. 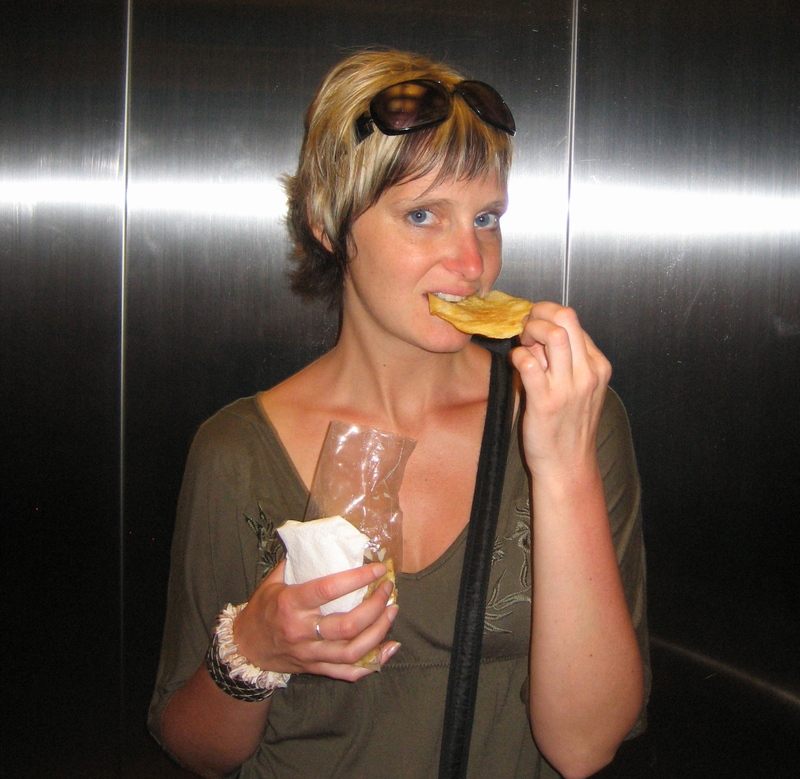 Think of potato chips in a bag but on steroids…extra large deep-fried potato slices with fresh squeezed lime juice and salt. 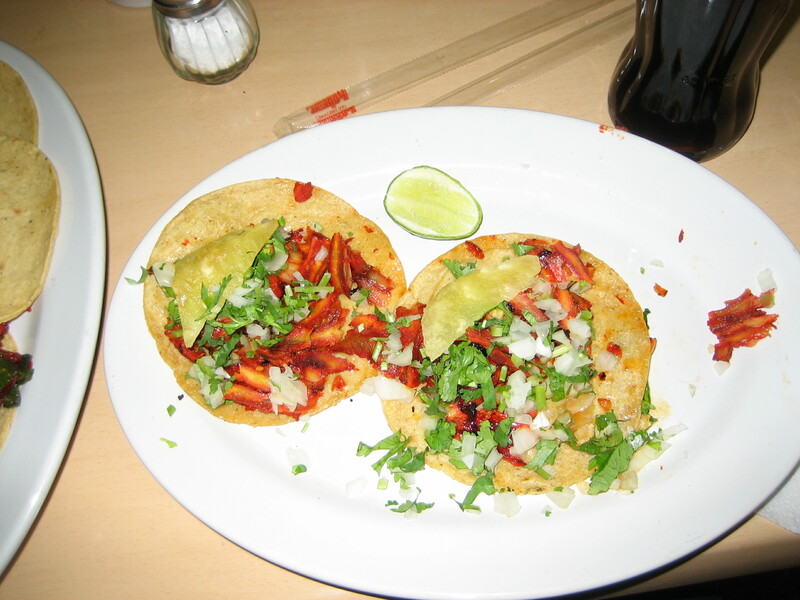 Tacos el Pastor – pork tacos with cilantro, pineapple, onion and salsa (best eaten as a late night snack from a taqueria). In fact, I really wanted to have them at our wedding this past December and although it’s considered ‘street vendor food’, we got them and they were a hit! 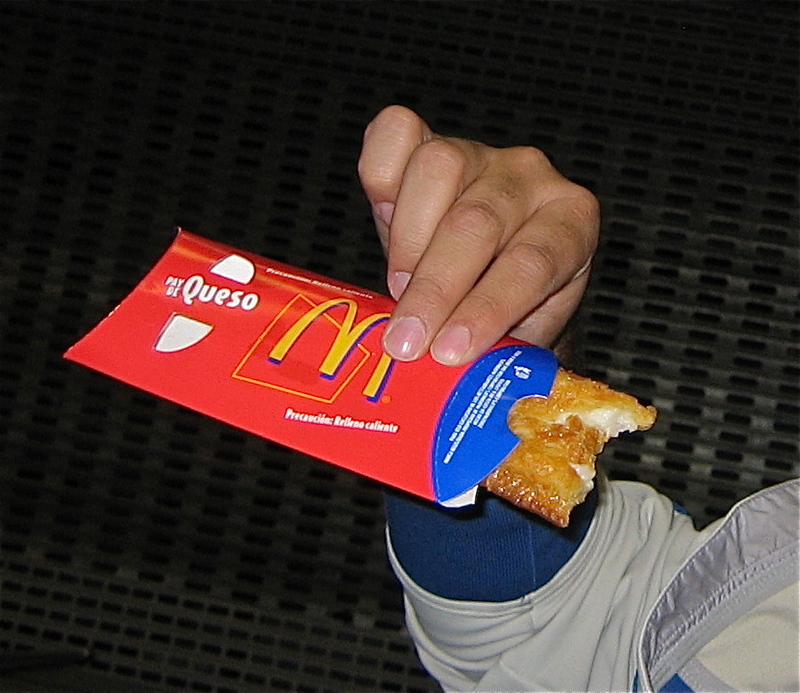 Pays de Queso – Yes, it’s a Mexican McDonald’s secret – remember their deep-fried pies? Well, Mexico still has them and they have one with a filling that’s kind of like a sweet cream cheese. Unfortunately, a trip to Mexico now always requires a stop at a local McDonalds for these “heart attacks in a box”. Do you have any weird or unusual snacks that you enjoy?